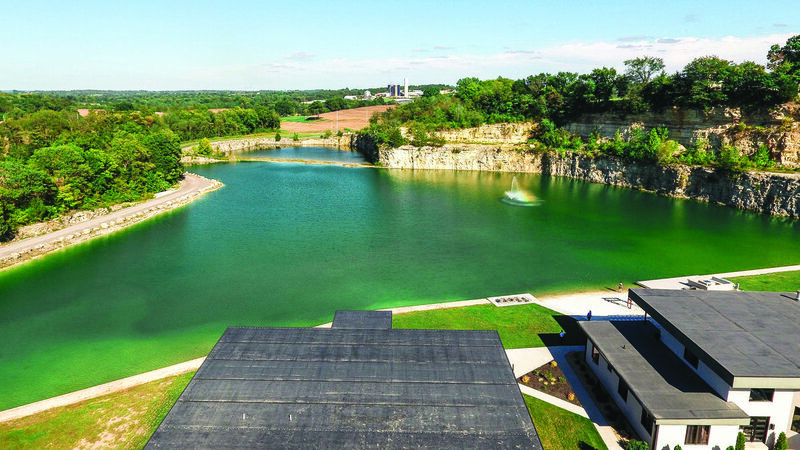 This Washington, Mo., private waterfront location offers a soft ivory sand beach and lake in which to swim during the daytime. The original glistening white sand was imported by barge from the East Coast. Now, replacement sand is secured from nearby U.S. Silica’s Pacific plant, where 99 percent whole-grain silica sand from the St. Peter’s Sandstone Formation is mined. 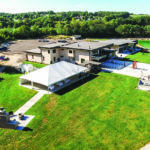 The venue’s developer intentionally created a self-sustaining geothermal system for heating and cooling upon building the facility in 2016 and keeps adding environmentally friendly improvements each year. 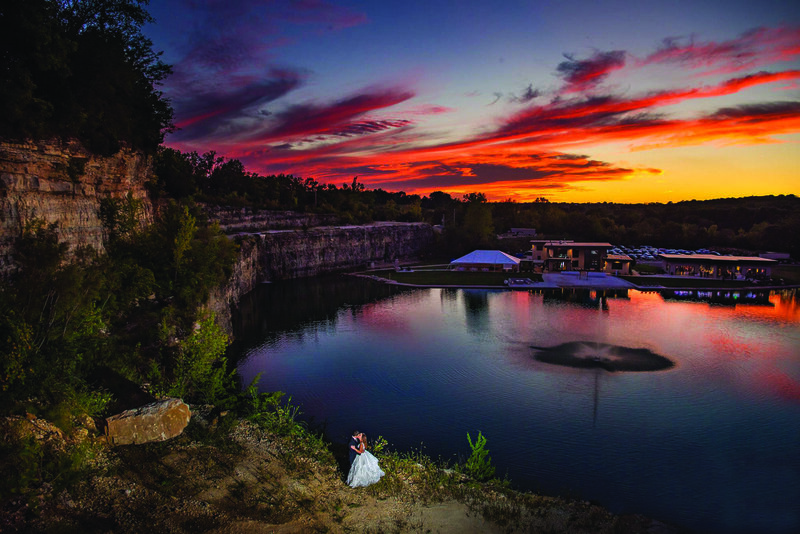 With its picturesque background, the Sunset Bluffs House faces an 8-acre quarry lake, surrounded by 110-foot natural bluffs that add that just-right touch of innate beauty. 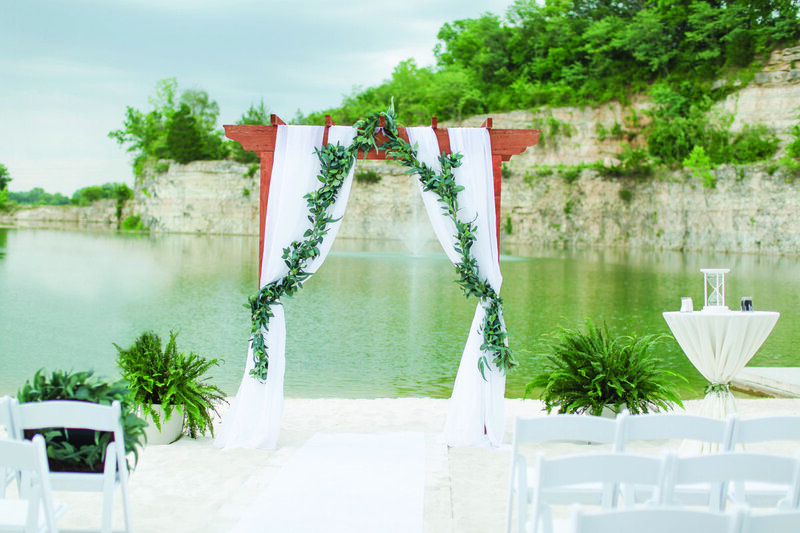 A fountain and cascading waterfall complete the ambiance. 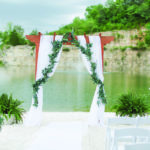 Sunset Bluffs owner Fredrick Long says the venue accommodates weddings, celebrations, corporate events and parties. 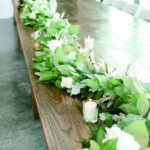 “We service the St. Louis area and surrounding counties and have the pleasure of hosting events and families across the nation, including Texas, Florida, New York and California,” he says. 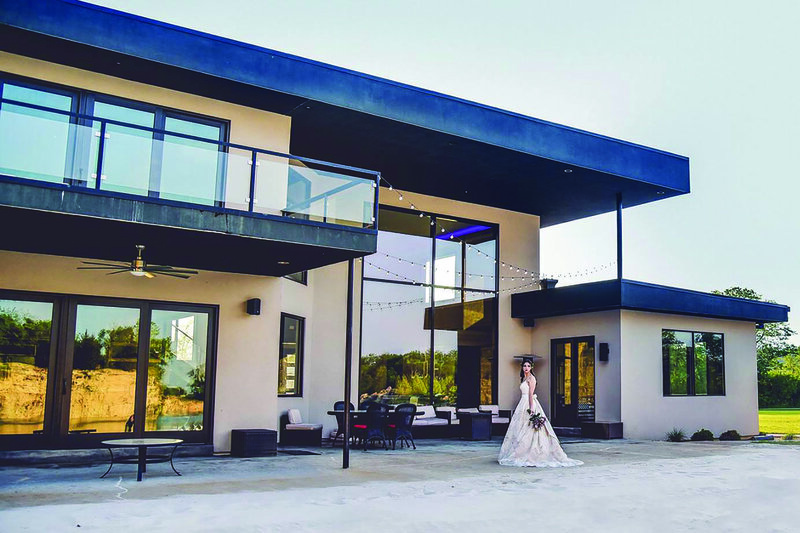 The Sunset Bluffs House includes five bedrooms and 3 1/2 baths. It has a large commercial kitchen with stainless steel appliances. The house was designed in a mid-century modern style to provide a spacious layout. It includes a dining area, a breakfast bar, a pool table room, a movie theater room and a great room with a dramatically high ceiling. Fredrick says the house has a specific type of foam insulation and is covered with 2-inch stucco, giving it what’s called in the industry as the “icebox effect” for very controlled heating and cooling efficiencies. He also uses fresh spring water for shower water. He’s even considering adding solar panels this year. 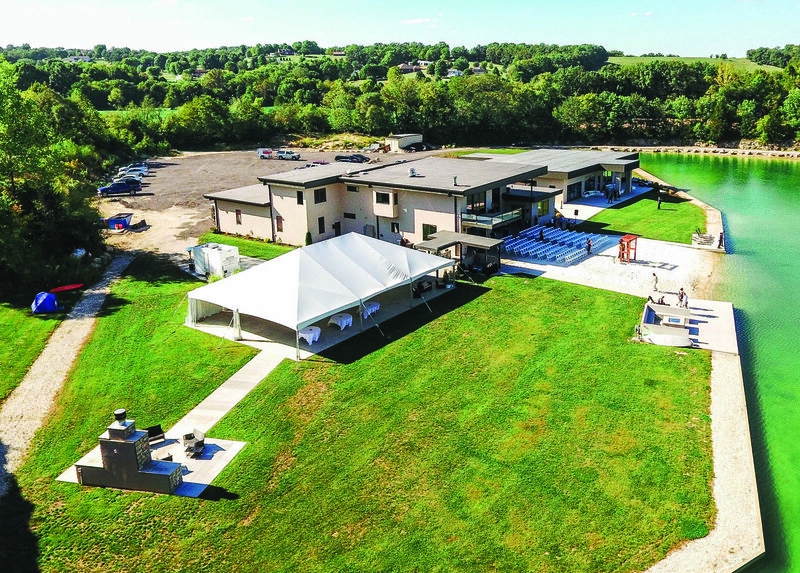 An open grass lawn also provides the perfect setting for eco-friendly special events to entertain up to 300 people, with or without an outdoor tent. Other outdoor features include a stone fireplace, fishing and a paddle boat for guests to use on the lake. 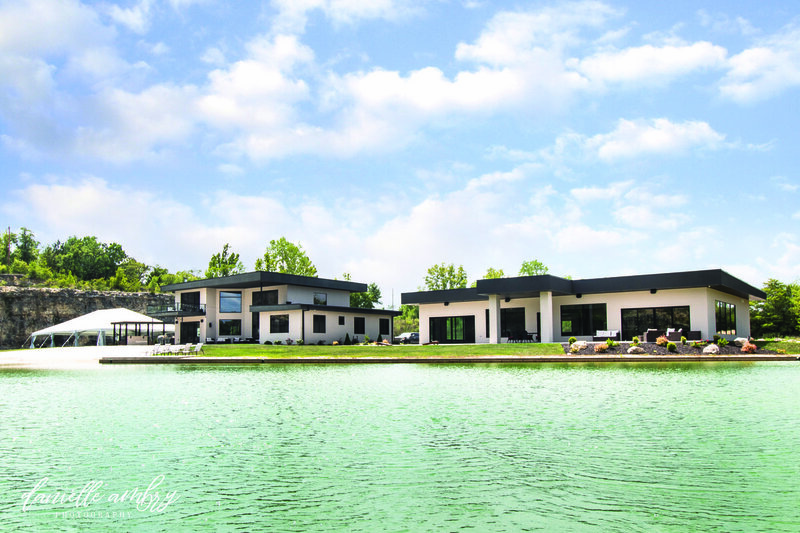 “We are completely geothermal, with a high rating,” says Fredrick, who explains that the lake’s runoff water is used for the heating and cooling system. 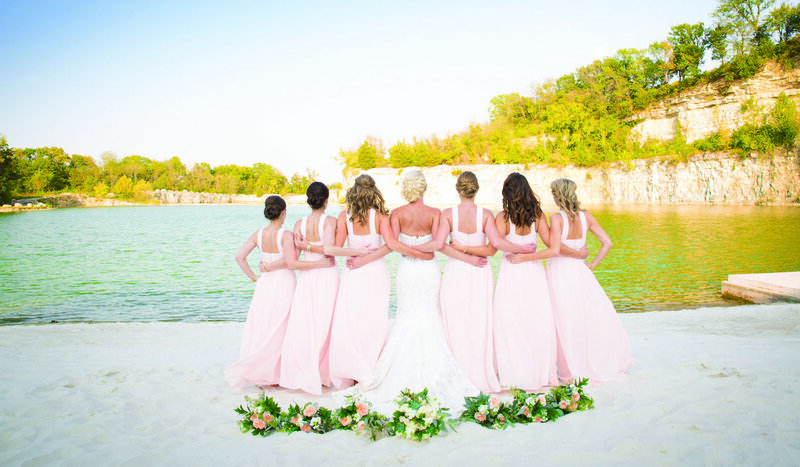 For weddings, the house’s areas can be set aside for a bridal suite for prepping hair and makeup. The “groom’s shack” sports a lounge with a pool table, board games and video games, while overlooking the Sunset Bluffs beach front. The lounge exudes modern luxury with comfortable leather chairs, a big-screen television and a private bathroom. 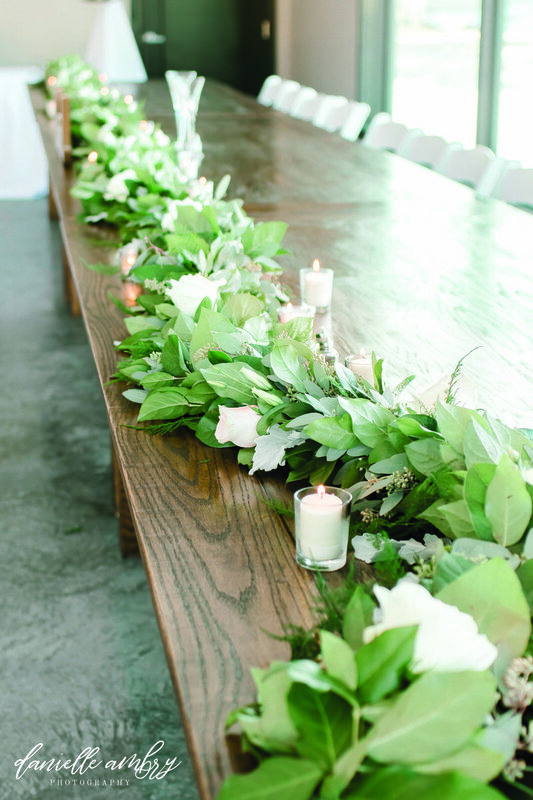 Sunset Bluff’s Reception Hall boasts 12-foot ceilings, custom lighting options and a Jumbotron. “Floor-to-ceiling windows allow the beauty of the lake and bluffs to peer in while guests become lost in the moment,” he adds. Fredrick says nearby activities for guests who are traveling from out of town include wine tasting, hot air ballooning, hiking trails and museums. 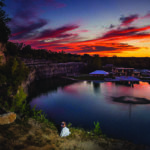 “What guests seem to like most about Sunset Bluffs is that it’s an easy-going place where they can relax and do things on their own, at their own pace,” he says.